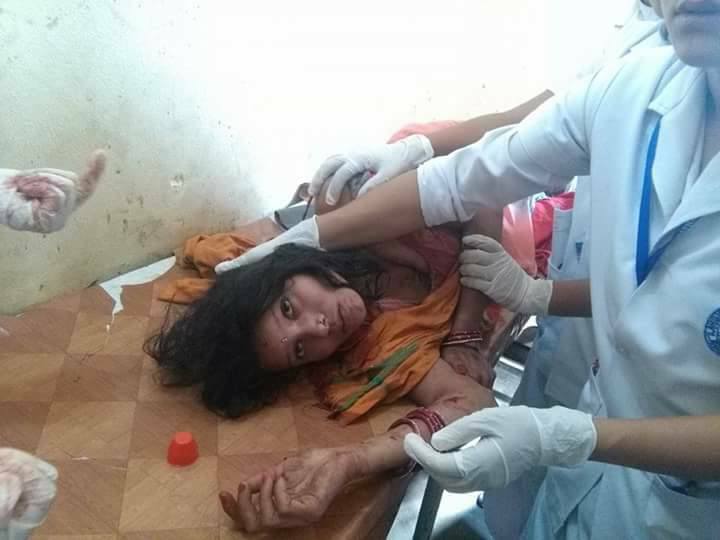 Lahan, March 23 : Eight people were injured when an improvised explosive device (IED) went off, targeting a jewelry shop here today. Proprietor of the jewelry house (Bikash Traders) Bikash Sharada, his younger brother Rahul Sharada, staff Asmita Kumari Chaudhary, 21, customers Dev Kumari Yadav, 22, of Nawarajpur Rural Municipality-3 and her seven-year-old daughter Satish, Manikadevi Ram of Surunga Municipality-6, Babita Yadav of Lahan Municipality-21 and her younger sister Binita Yadav have been injured in the explosion. Among them, five are undergoing treatment at the Saptarishi Nursing Home and three have been admitted to the Ram Prasad Umasmarak Hospital, District Police Office's Deputy Superintendent of Police, Rajendra Bhetwal said. Who carried out the blast and with what motive is yet to be ascertained. Investigations into it are underway. Last month also, Lahan recorded two separate incidents of explosion.